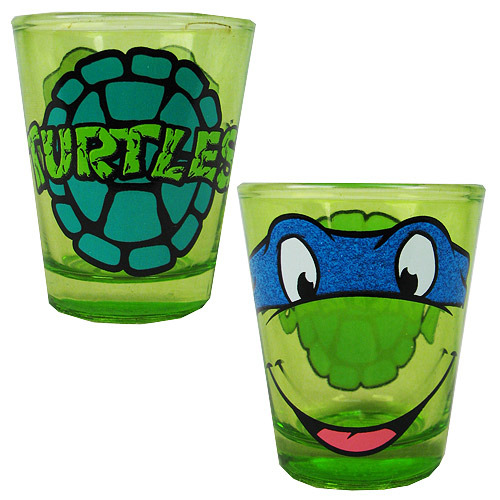 Shopping for Teenage Mutant Ninja Turtles Shot Glasses? He leads! The Teenage Mutant Ninja Turtles Leonardo Glitter Shot Glass features Leonardo's face with a glitter finish on the mask. This shot glass is perfect for any Leo fan! Do not microwave. Hand wash only. Not dishwasher safe. Holds 1 oz. Ages 21 and up.